How do I install and test my foreign language help in HV2? Help Viewer language is locked to the Visual Studio UI language. To change the UI & Help language you need to download and install the required language pack. (VS main menu) "Tools > Options > Environment > International Settings". (Tip: When the "Save As: dialog appears prefix the file name with the locale code). Installation can take several minuets to complete and a reboot is required. 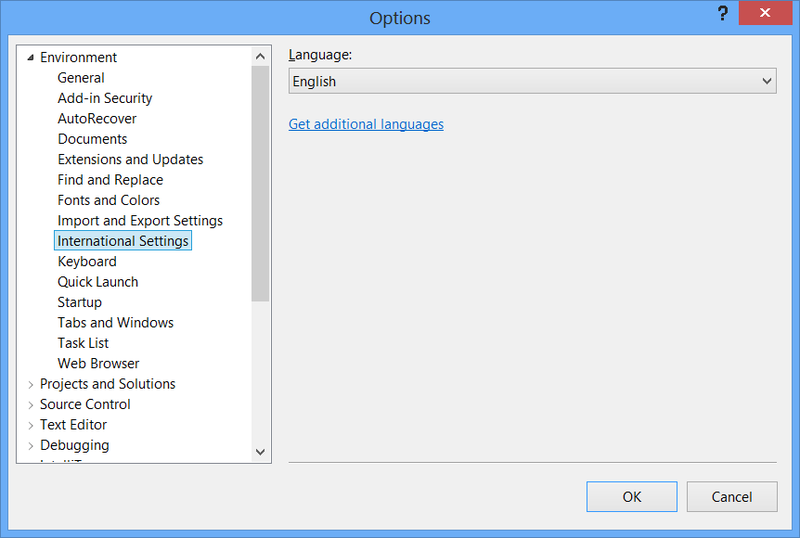 Once installed, the new language is available in the language drop-down (see above). Here (below) I've selected French, but notice that English downloads are still available. 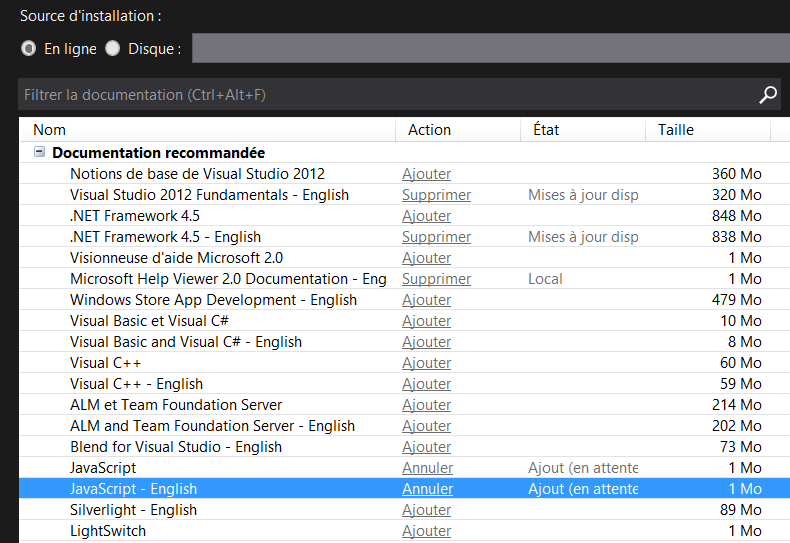 As a matter of interest, you can see the Help registry changes after I installed French & Japanese language packs (I had opened Help Manager but hadn't downloaded anything). Developers like to test foreign language help under an English UI (or their own language). VS 2012 doesn't allow this. Or does it? If we created a broker application to sit between Visual Studio 2012 and VS Help Viewer we could easily switch the language. See our VS11 Help Debug application.